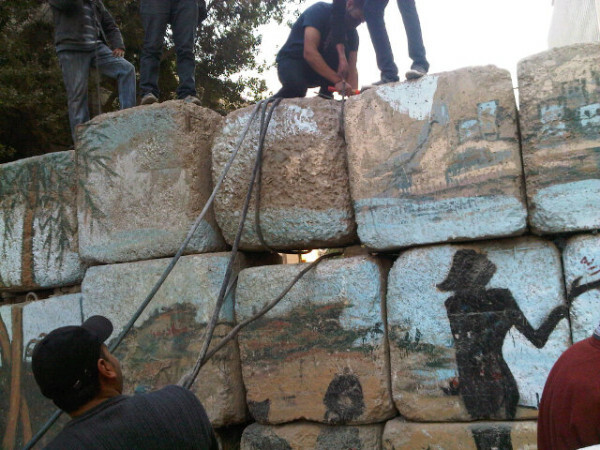 Marshal Tantawi, tear down that wall! Back in December, as a move to stop insistent demonstrations around Midan Tahrir, the ruling Egyptian junta tried to wall off access points to the square. 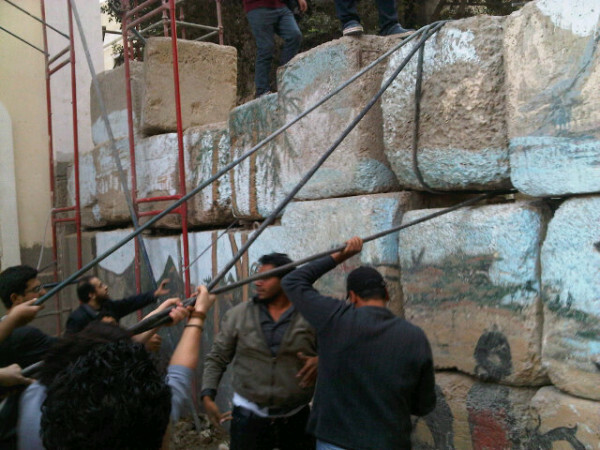 Above, you can see them building a wall across Qasr al-Aini Street. 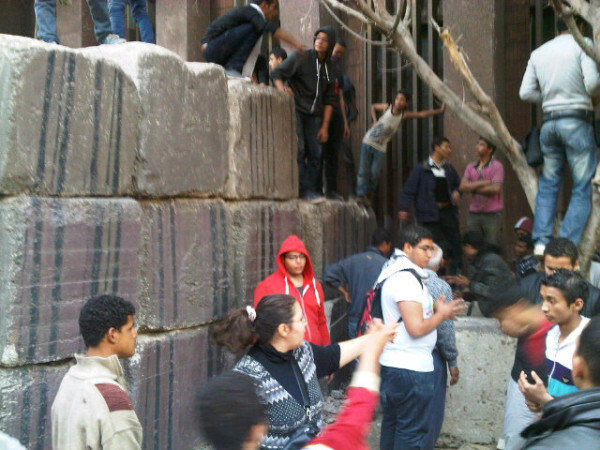 I love Egyptians when they get organized. This entry was posted in Human Rights, Politics and tagged Cairo, Egypt, Midan Tahrir, Qasr al-Aini, revolution, SCAF, Tahrir Square, wall by scottlong1980. Bookmark the permalink.